Invisibules - 2013-06-24 Giraffe Riders coming in to town! Delightful! Brings to mind the camel racers of the Middle East, but looks like they’re having lots more fun than the terrified little boys tied to their camels. 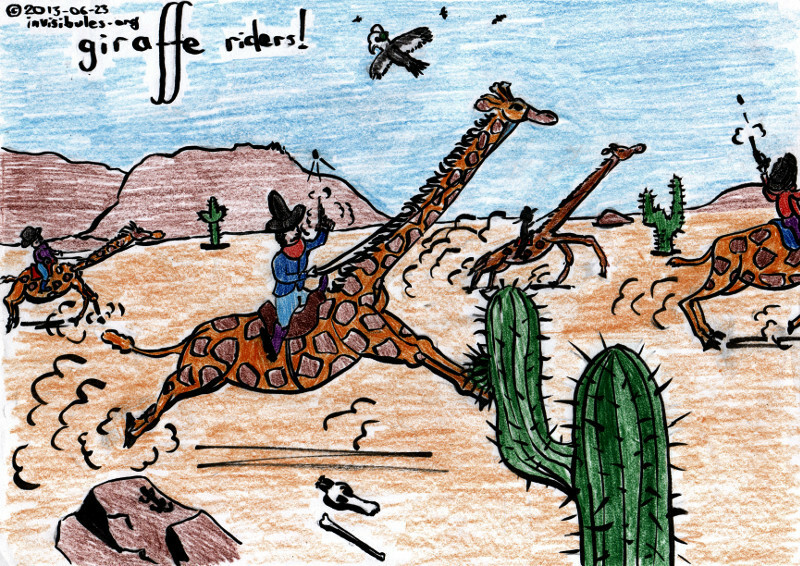 Jeeze, poor syntax: I meant the giraffe jockeys are having more fun … etc. And did you know that some giraffes have 3 knobs, or horns, or whatever those appendages on their skulls are called?